The children of old Russia awaited with joy the coming of Baboushka at Christmastime as our children today await Santa Claus. 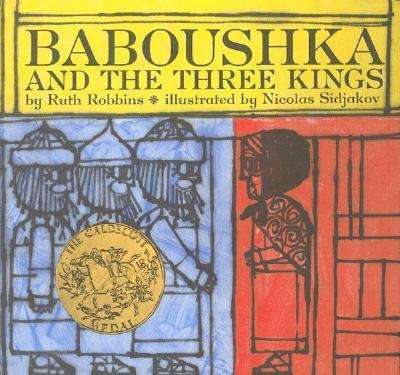 Baboushka's story is retold here with beauty and warmth. When the three kings ask the old woman to join them in their search for the Child, she declines because her day's work is not finished. In vain, she tries to follow them the next day. Since that distant time, Baboushka has continued her endless search for the Child. The primitive beauty of old Russia is captured in rich four-color pictures by Nicolas Sidjakov, illustrator of the well-known THE FRIENDLY BEASTS. Included is the story in verse with music composed especially for this book.